How to get firmer skin – What really works. We’re all looking for ways to keep ourselves looking and feeling younger for longer. And while there have been some pretty incredible advances in anti-aging medicine over recent years, many of us would like to be able to put off injections, lasers and surgery for as long as possible. There are definitely ways you can maintain your skin’s firmness and soften wrinkles at-home, and I’m going to share some options with you in this post! Can you supplement your way to firmer skin? A common question I’ve had from clients is about the drinkable nutricosmetic hydrolized collagen. People often ask me if it can actually help your skin to produce its own collagen. I have always looked for science-backed evidence when it comes to picking and choosing the treatments I use and recommend–not to mentions using plain old common sense and intuition. When it comes to collagen creams, and nutricosmetics, the verdict is still out for me. I just don’t see enough evidence to indicate that they really work, but I will let you decide for yourself. Check out this article from the Vancouver Sun which does a pretty good job of laying out the facts in an impartial way. However, I do believe in using nutricosmetics to compliment my skincare routine. It’s no secret that our food has become less nutritious due to industrial farming practices that have degraded the soil. This, paired with the fact that I can’t possibly consume enough fruits and vegetables on a daily basis to reap the benefits that a nutricosmetic can provide, is why I take them. By reducing oxidative stress and improving the skin’s hydration, you minimize the breakdown of your skin’s collagen and support the healthy functions of cellular metabolism. 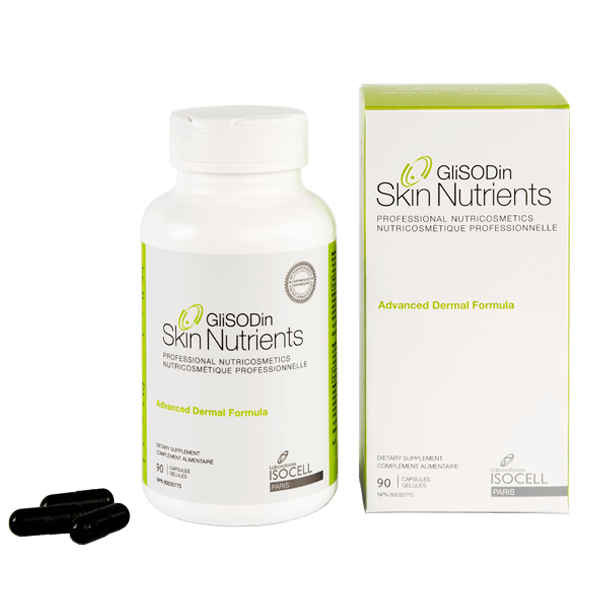 Here’s a great interview from Charlotte’s Book with Corina Crysler, Formulator and Managing Director of GliSODin Skin Nutrients, In this video, Corina explains how nutricosmetics work and when you can expect to see results. What’s the deal with adaptogens? These superfoods are not necessarily new–after all–Goop has been raving about Moon Juice Dusts for a while now, but adaptogens are definitely going mainstream. If you don’t know what an adaptogen is, this article from Well + Good is a great intro read. I was recently introduced to a lovely company called Anima Mundi Apothecary. They carry high quality and sustainably sourced medicinal botanicals – including adaptogens. I am especially impressed with their ‘Collagen’ formula which doesn’t contain collagen, but instead, is formulated with collagen co-nutrients that support collagen synthesis. Skincare products and an at-home tool to improve firmness. Aside from the usual suspects that should be included in your skincare routine (cleanser, moisturizer, eye cream and SPF), here are some things you can do if you’re specifically looking to improve your skin’s firmness. Take the GliSODin Advanced Dermal Formula with breakfast (ask me about this). 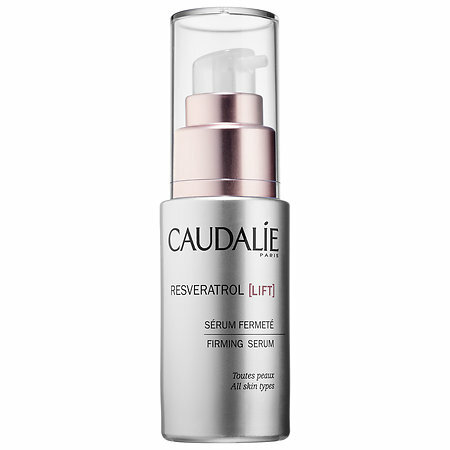 This serum from Caudalie combines hyaluronic acid with their proprietary resveratrol. Maintaining the skin’s hydration with hyaluronic acid is KEY to maintaining healthy collagen, while resveratrol–a potent antioxidant derived from grapevine stalks–protects the skin cells, thereby preventing the degradation of collagen fibers. Microneedle your skin to enhance the penetration of your skincare products by 200 times and get on retinol. By creating little micro-channels in the skin, microneedling makes your skincare work more effectively. 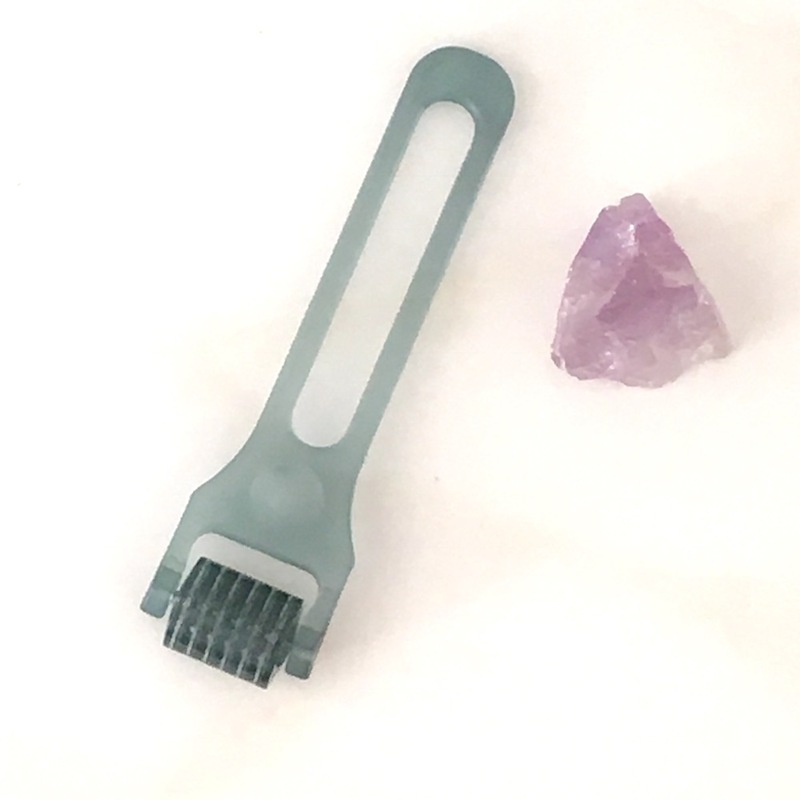 While the evidence points (no pun intended) to 0.5mm length needles to stimulate collagen synthesis, I’m a believer that 0.25mm is safer for at-home use. And my common sense tells me that stimulating the skin with these tiny needles may just enhance its collagen production. All it takes is 5 minutes out of your nightly routine to get a much bigger bang for your buck from your skincare. Follow your microneedling session immediately with your favourite night-time treatment. Retinol* – Vitamin A is proven to reverse sun damage and aging in the skin, so it’s one of my go-to recommendations. Using a concentration of 0.5 or 1.0 percent is necessary to realize the benefits, so beware of night creams that claim to contain retinol – you want to see these percentages stated on the label. 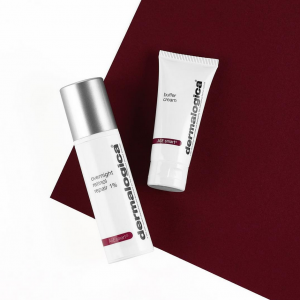 Dermalogica’s Overnight Retinol Repair is an excellent option as it can be customized to introduce the retinol slowly to your skin with a buffer cream. Plus, it contains a peptide and vitamin C to further firm the skin and reduce discolouration. *Note: The good news us that using retinol in your routine will save you time as it enhances your cell turnover process and therefore, no exfoliation step is required. The somewhat less good news is that you have to be extra diligent with your sunscreen when using retinol as it makes your skin photosensitive. This means wearing a minimum SPF 30 and reapplying it every two hours throughout the day. ALSO! Women who are pregnant or breastfeeding must avoid using retinol in their skincare routine. So there you have it! If you’re hoping to maintain healthy skin that looks and feels firmer, these are the at-home steps I recommend. Bear in mind, these are not overnight miracle-workers. They take time and consistent effort to yield results. If you want more in-depth and personalized guidance for your skin, come and see me for a consultation! Honestly I live by this Retinol!! Ive seen results in as short as 4 weeks and I could never go back!! Retinol is such a great ingredient for the skin! So glad you’re seeing good results from it. Time to get back on the retinol!